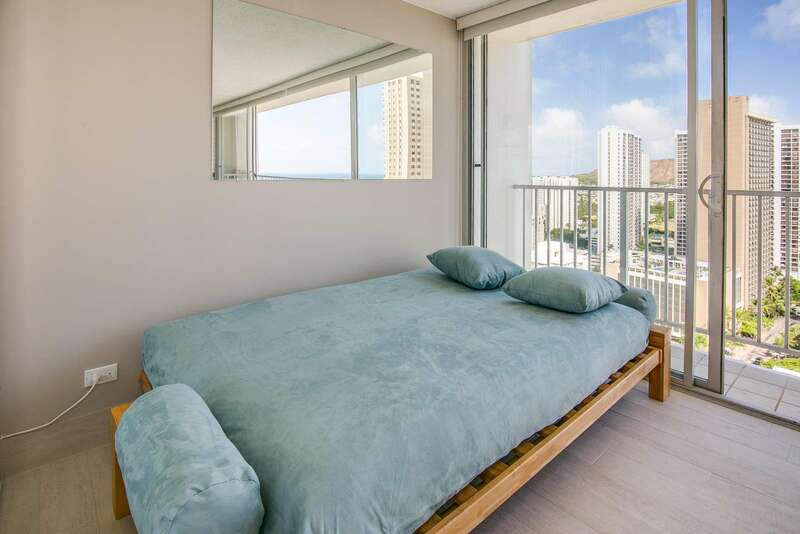 Stunning Views Bright and super clean spacious living Your dream vacation suite awaits Open plan living area with spectacular view Dining area for four guests high above Waikiki HD TV with cable included - WiFi also included Comfortable modern mattress Linens and Pillows for futon A/C or Ocean Breeze - The choice is yours! 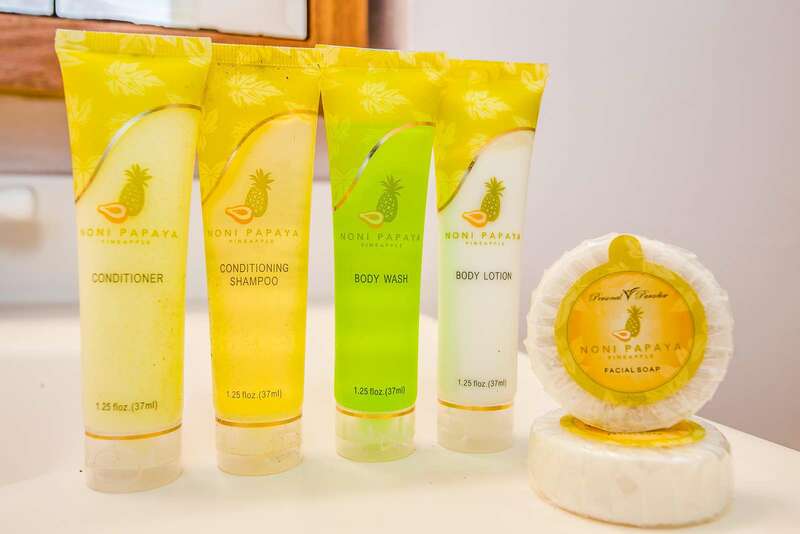 Bathroom amenities to get you started You'll come back yer after year! 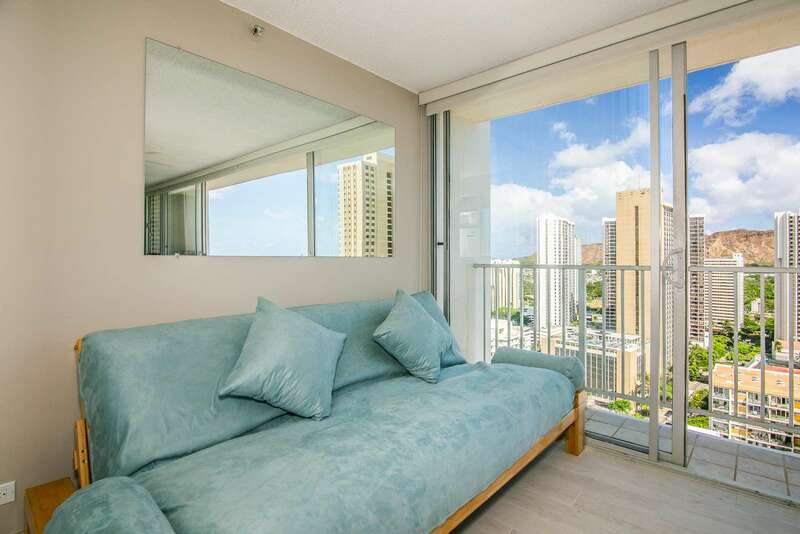 Comfy full size futon Also the perfect place to relax and watch TV or the sunset Large rooftop pool with ample sun loungers Did we mention the views? 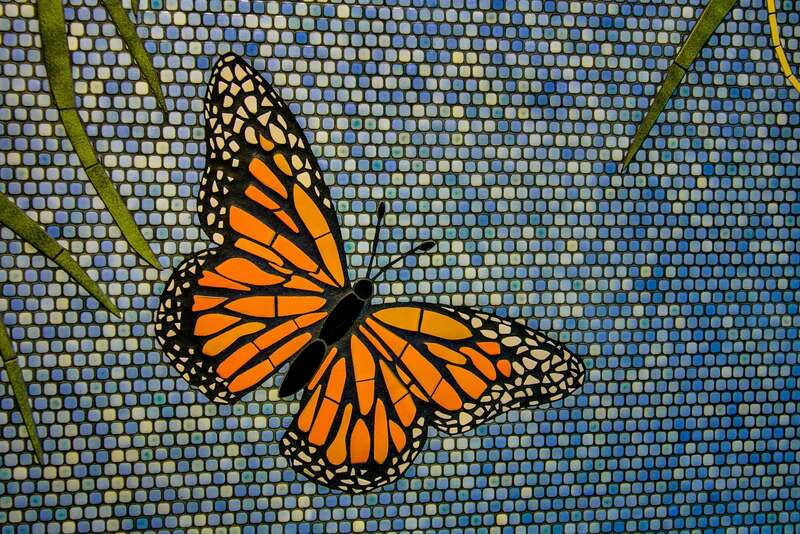 🙂 Cute colorful butterfly art ardorns the various communal areas A great game for the kids - to count them on your travels Having the comfy sofa bed ensures all sleep well Pillows and linens are in the closet Futon Sleeps two Bright Modern and super clean bathroom Shower / Tub combo - Perfect for after the beach, but please leave the sand at the beach 🙂 Stove top, Coffee maker, Toaster and pots a& pans included Blender and Hot Water Kettle Plenty of PLtes, Mugs nd glasses along with Silverware Your Instagram pics will be awesome! 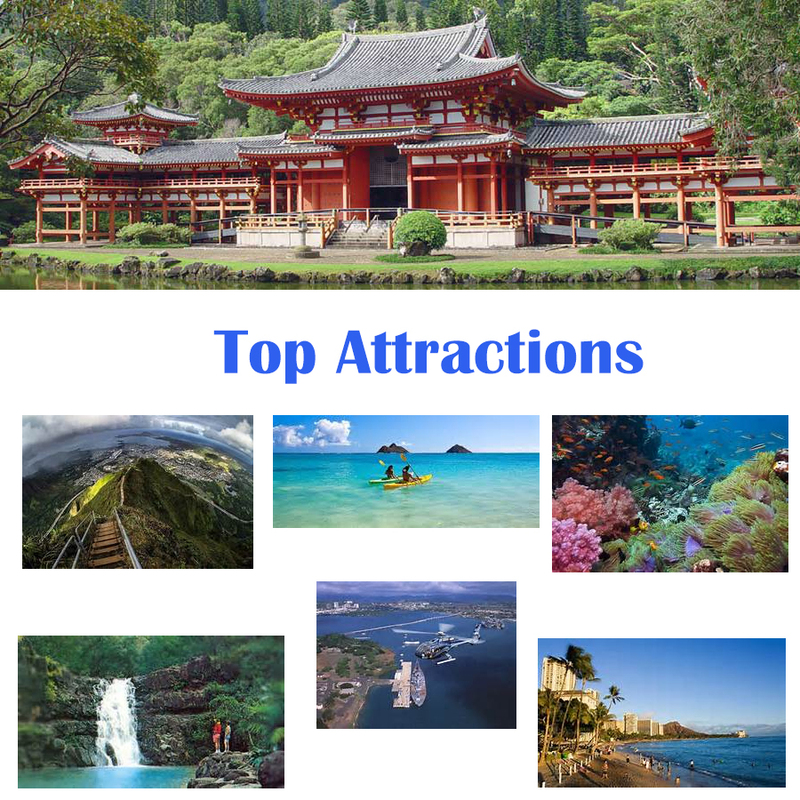 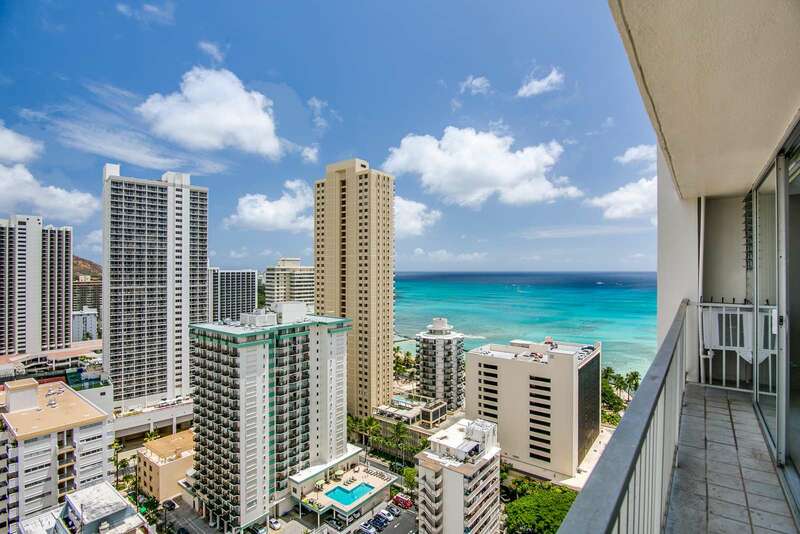 We are in the Heart of Waikiki - Everything is easy to walk to. 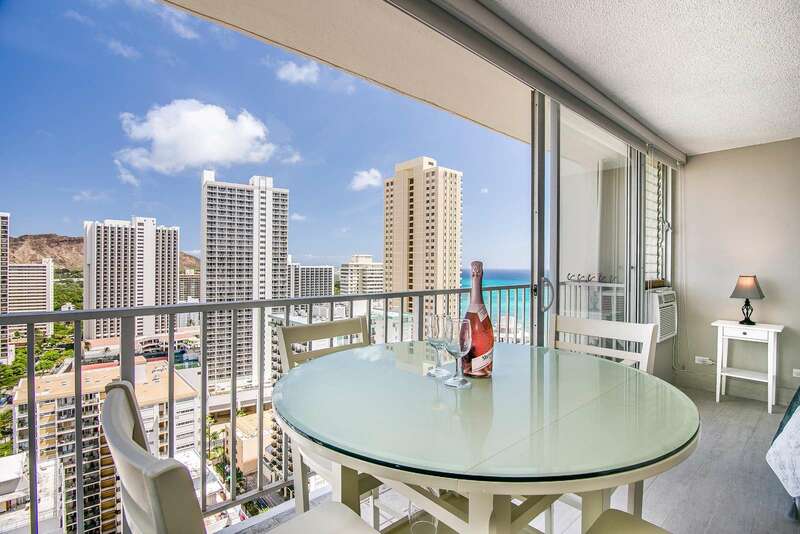 Diamond Head crater in the distance Your Pacific Ocean Views Come and join us! 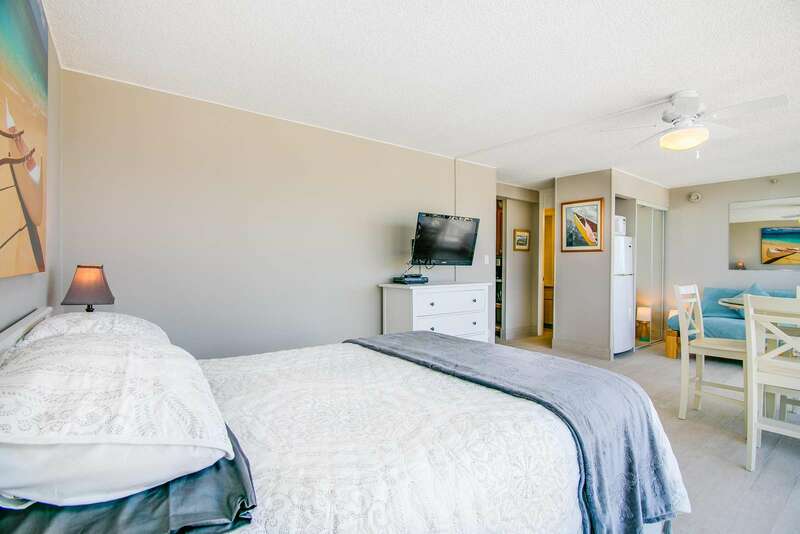 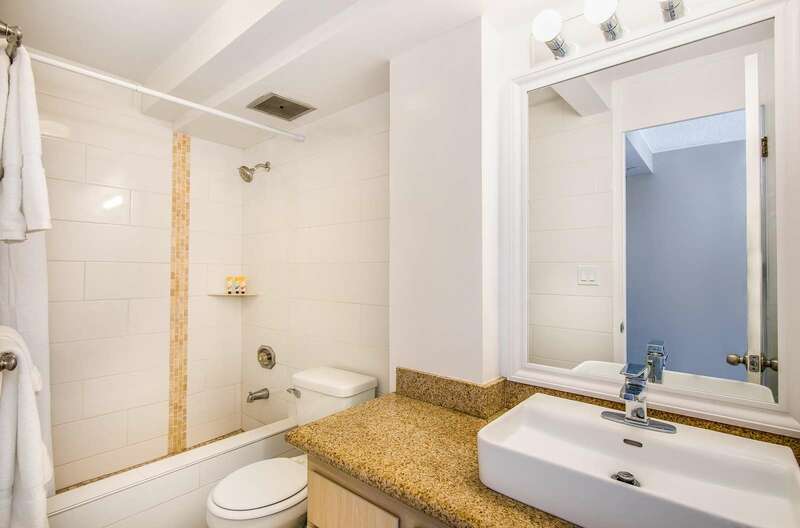 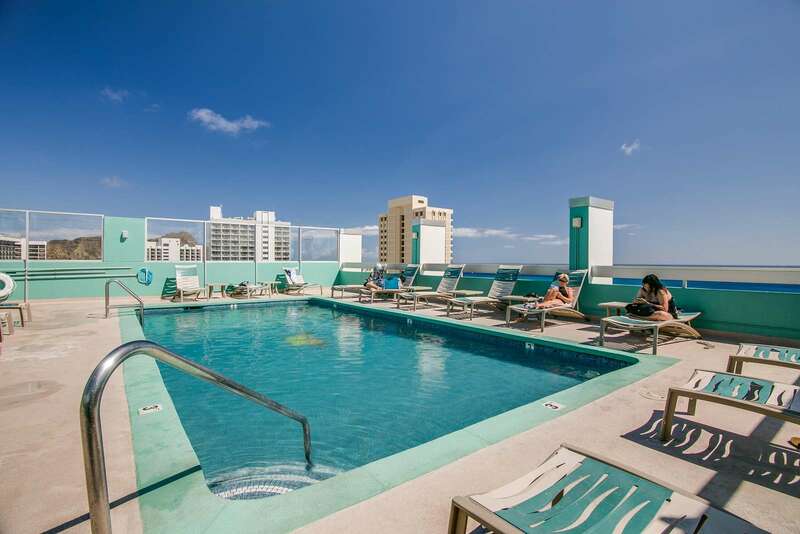 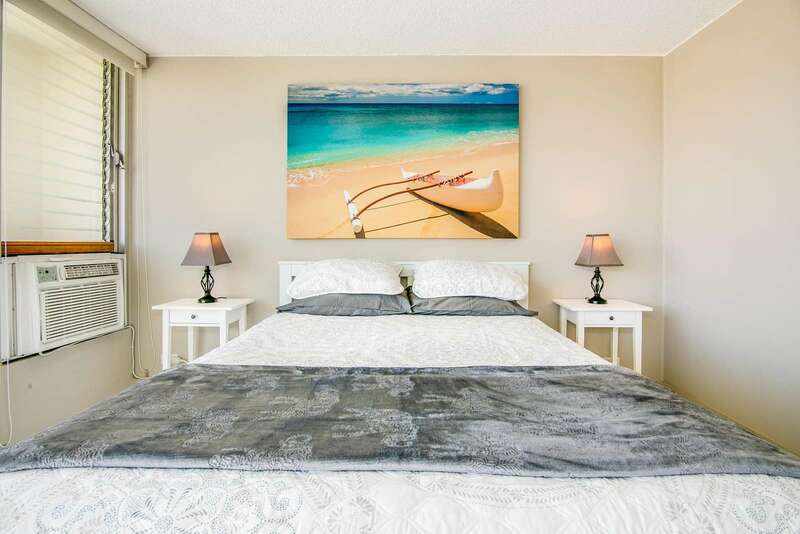 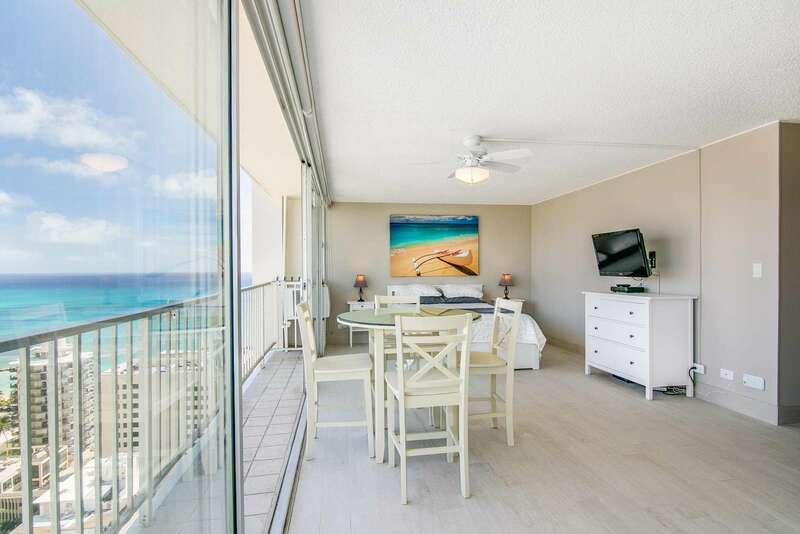 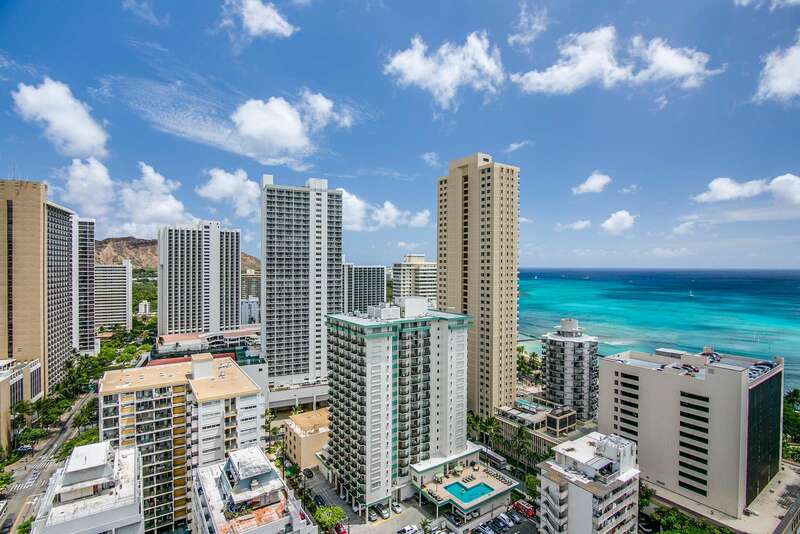 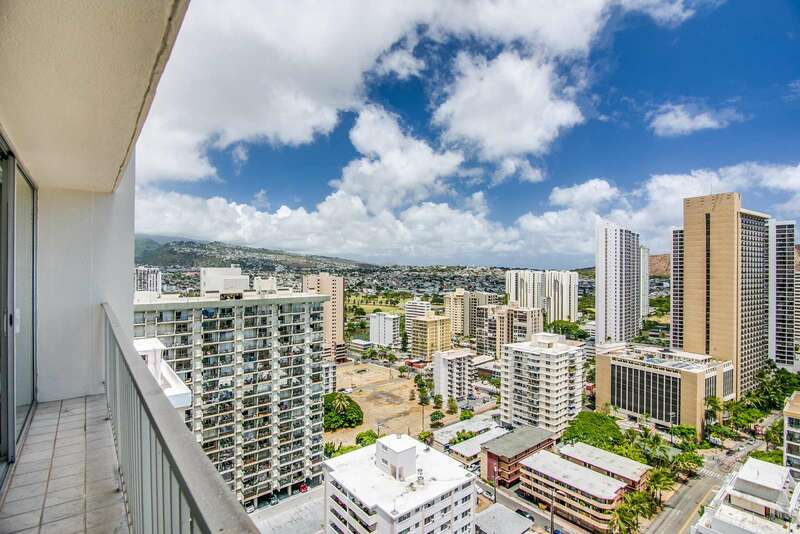 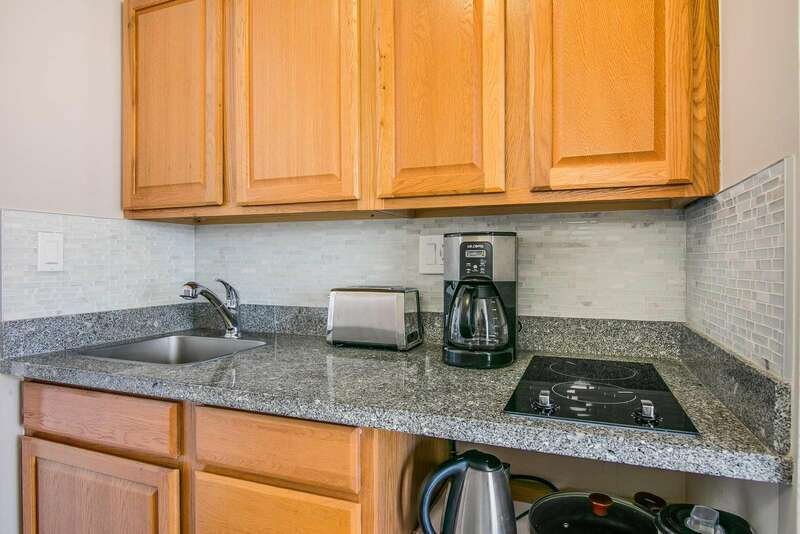 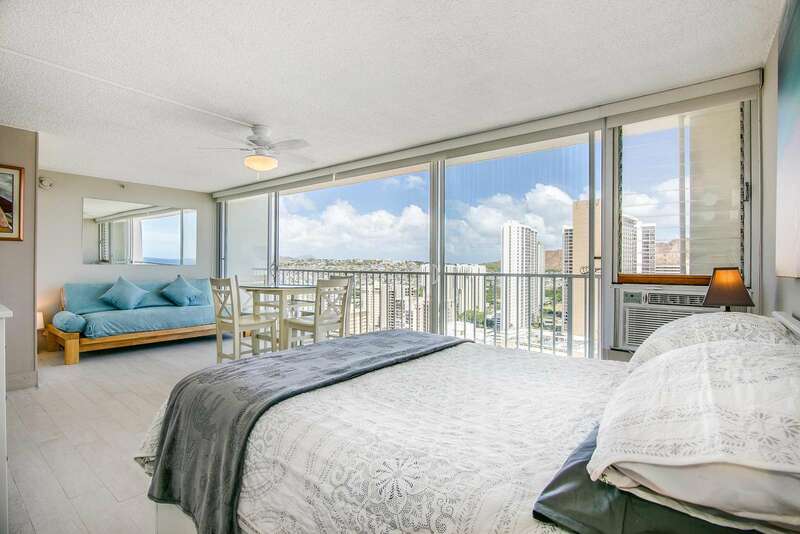 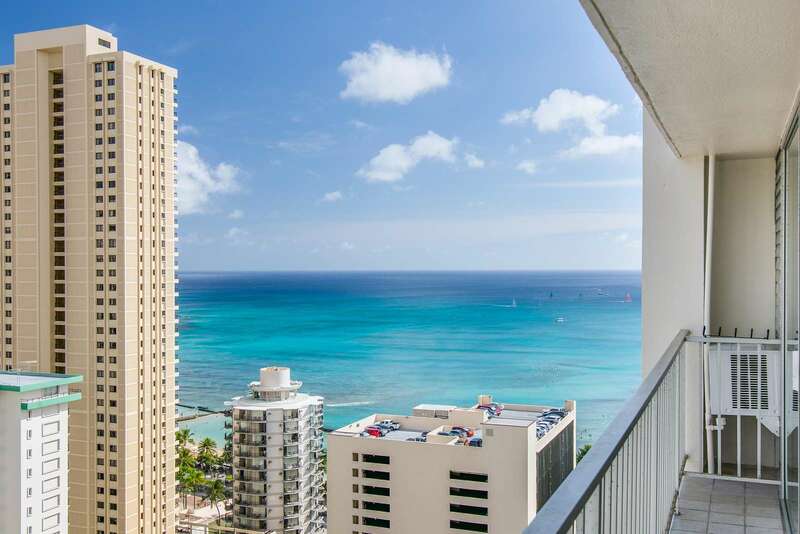 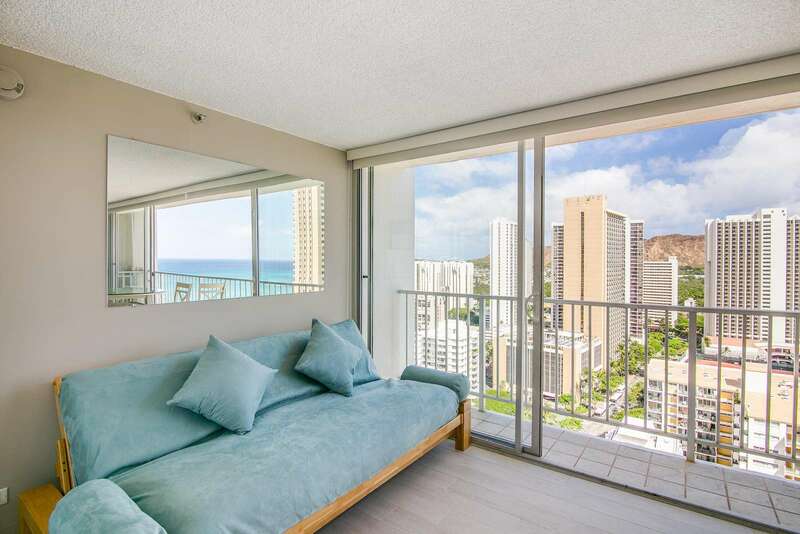 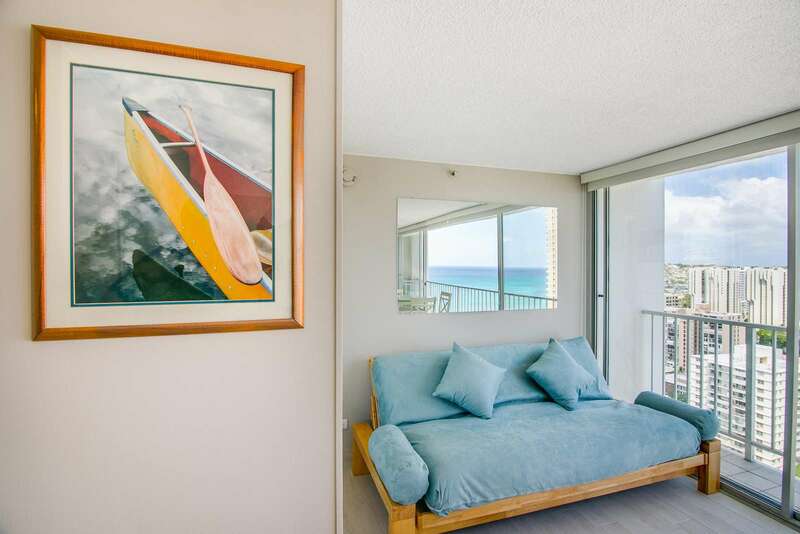 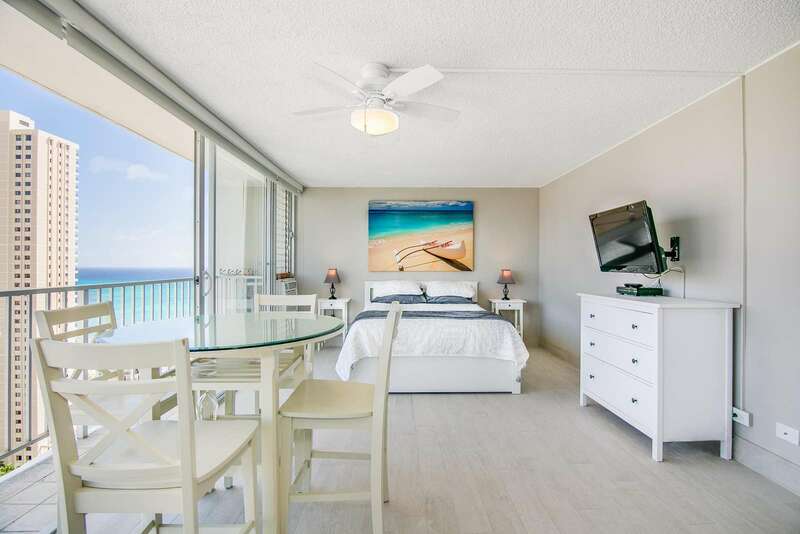 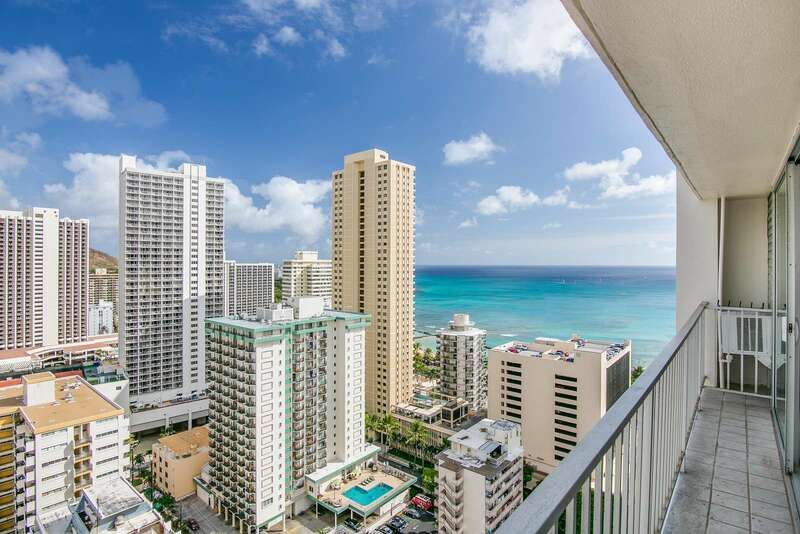 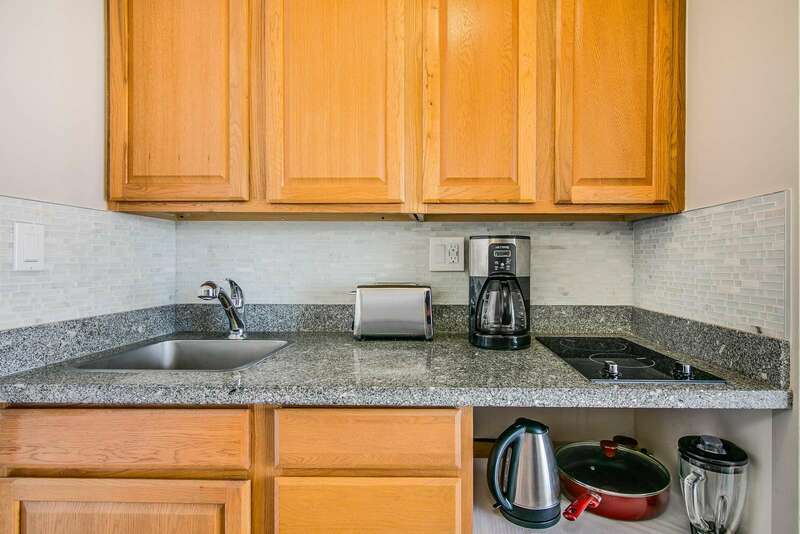 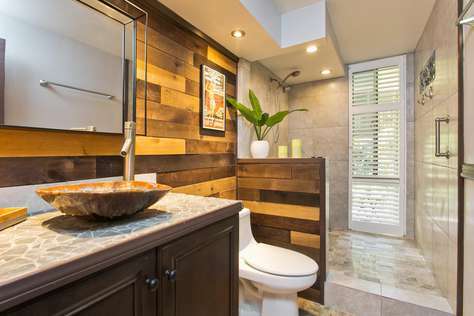 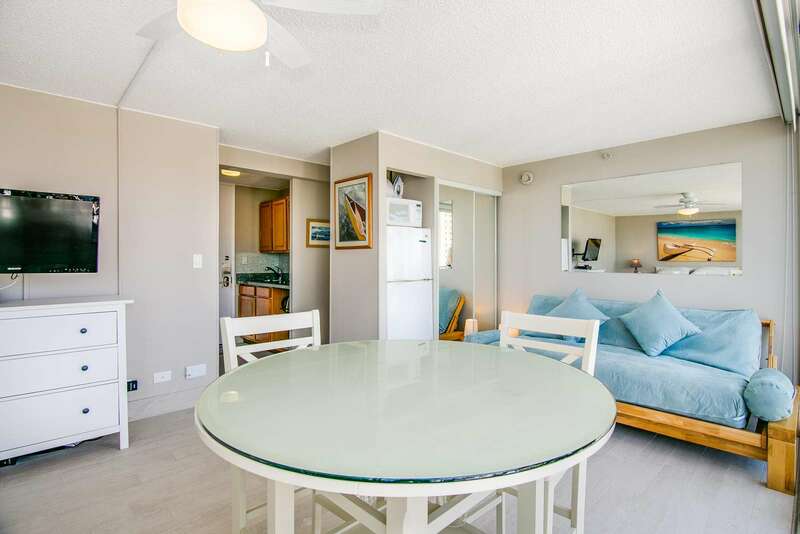 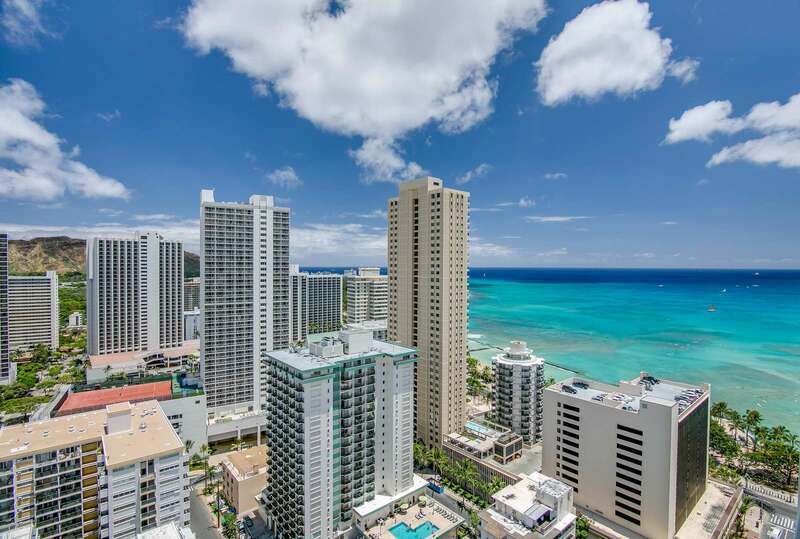 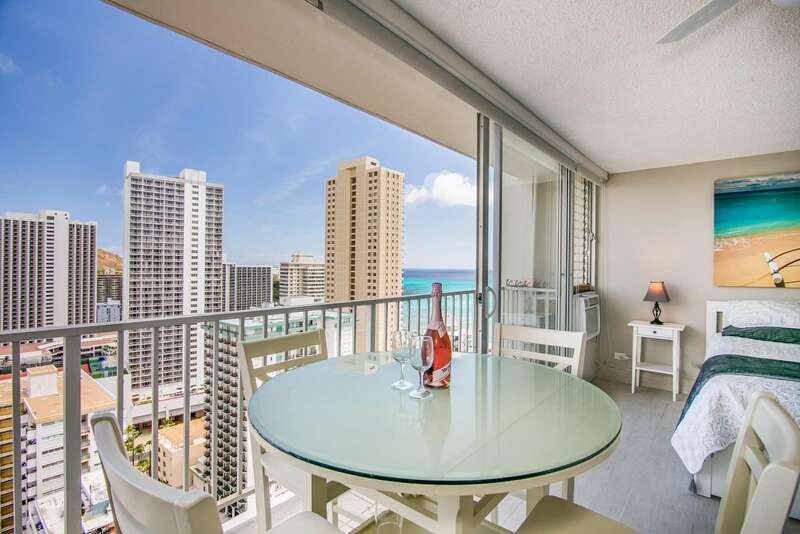 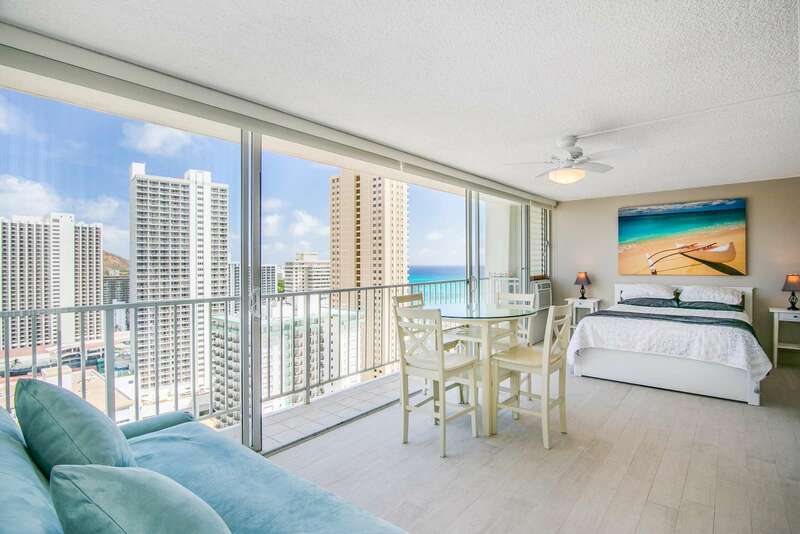 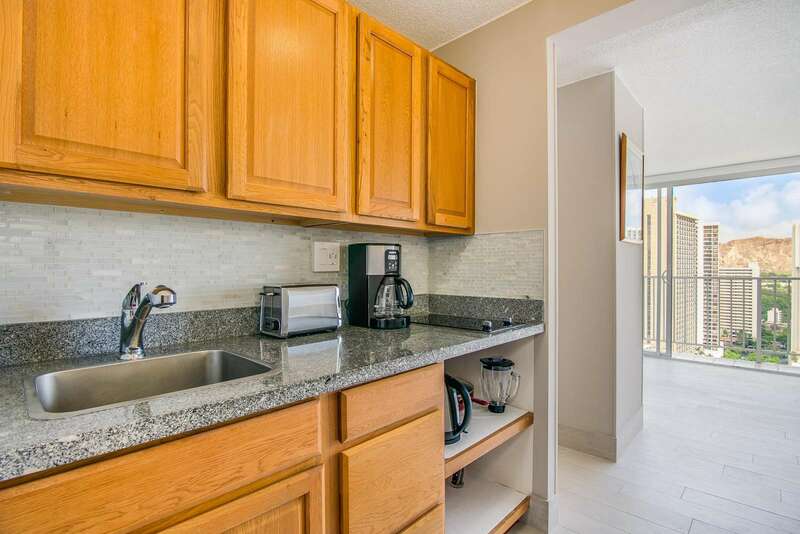 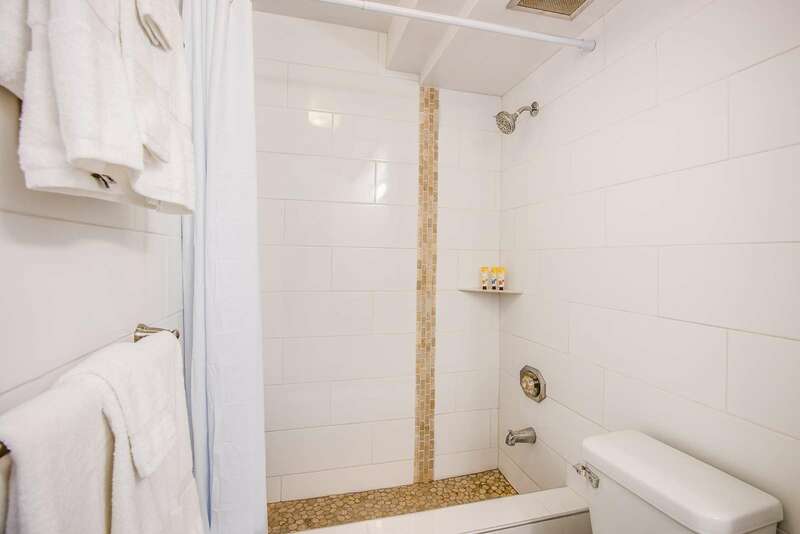 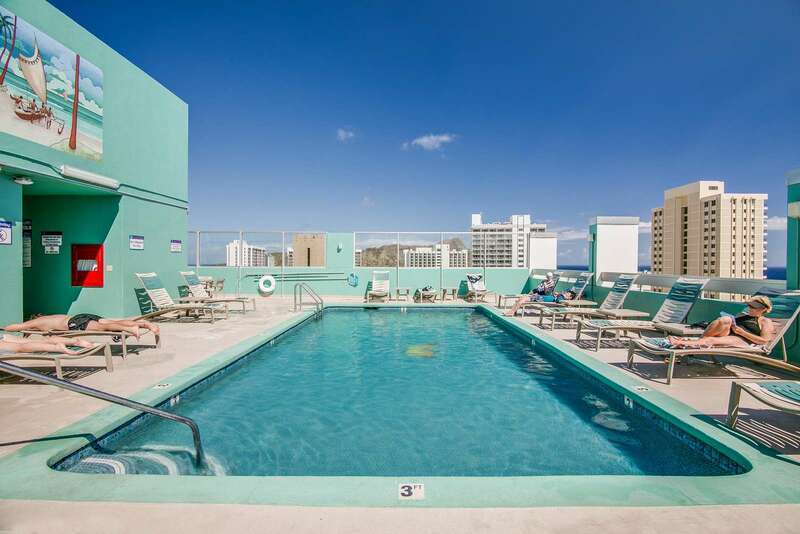 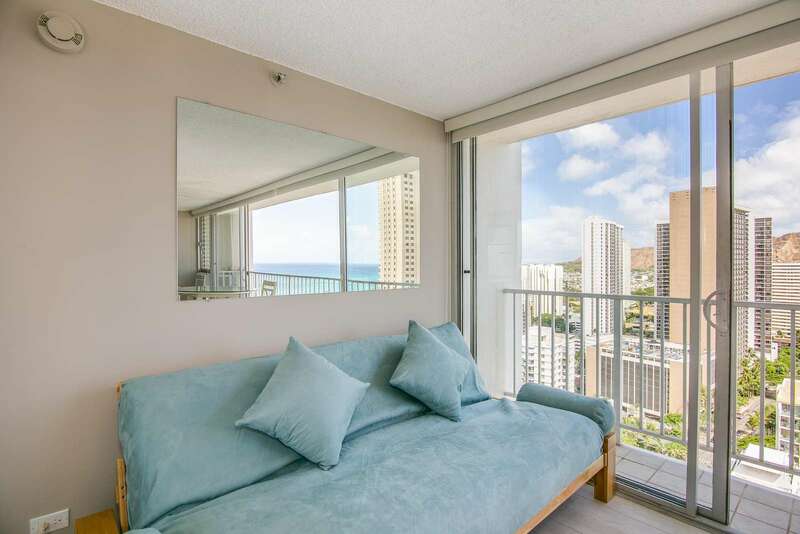 This stunning studio in the heart of Waikiki is close to Beach, with full kitchen, WIFI, HDTV & cable, The 27th floor offers a beautiful ocean view.The studio has a queen size bed and full size futon so it can sleep four.